Milk Chocolate Fudge Sprinkles 40g - a milk chocolate bar simply covered from edge to edge in pretty colourful candy sprinkles and vanilla fudge pieces. For a birthday treat, just because or because they love chocolate! 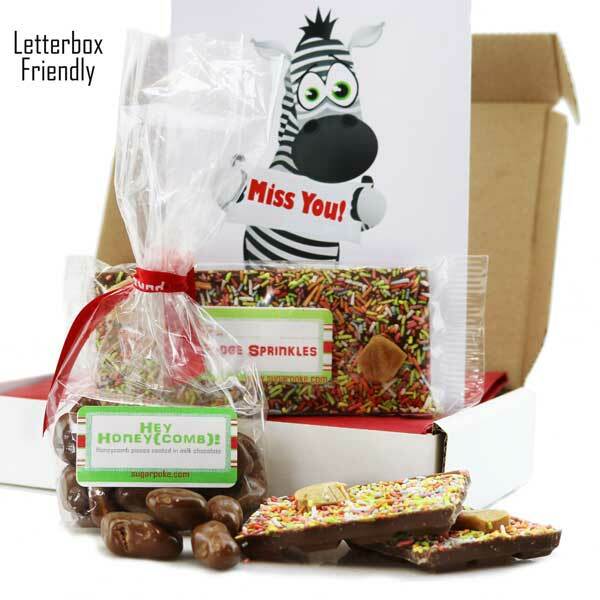 This pack is brilliant value, you get a yummy tiffin (honeycomb/biscuit-y/choccy bar), a delish brownie and some lime choc sweets too, all for £7 incluidng delivery.